We were so excited to start Alphabet Island this month!! X has been really interested in the ocean and pirates lately, so it’s a great fit! 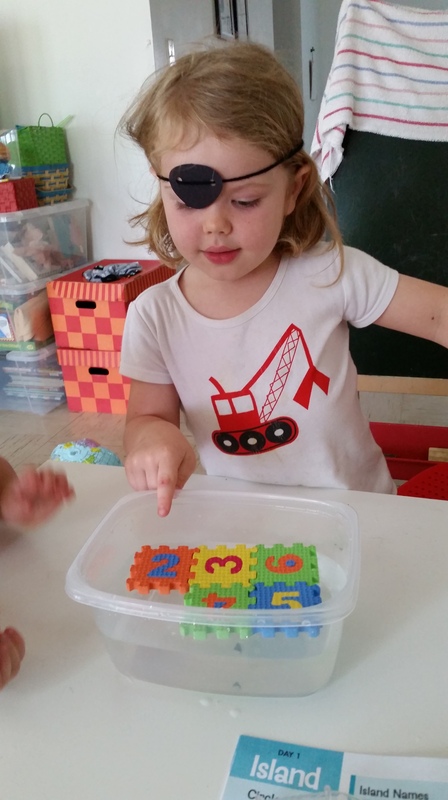 From pirate fun to boat science we’ve splashed and Arrrgh-ed our way through so much learning already! 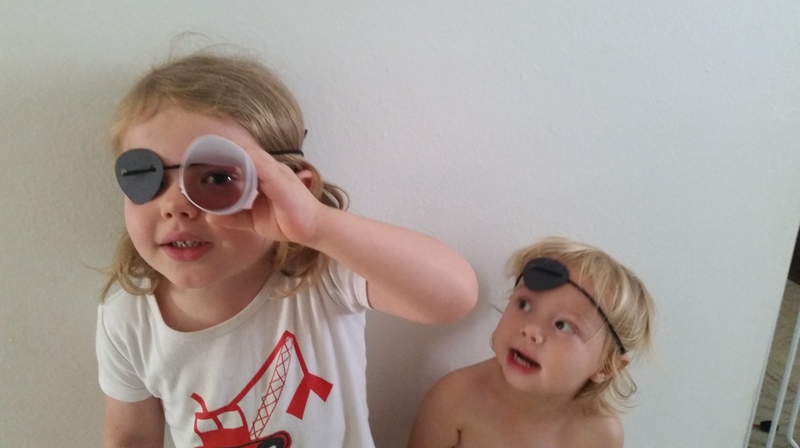 The Make and Play spy glass and eye patch were huge hits. As always, the boys LOVE our manipulatives this month! It was so neat how Mother Goose Time suggested we use our foam numbers as islands for Day 1! 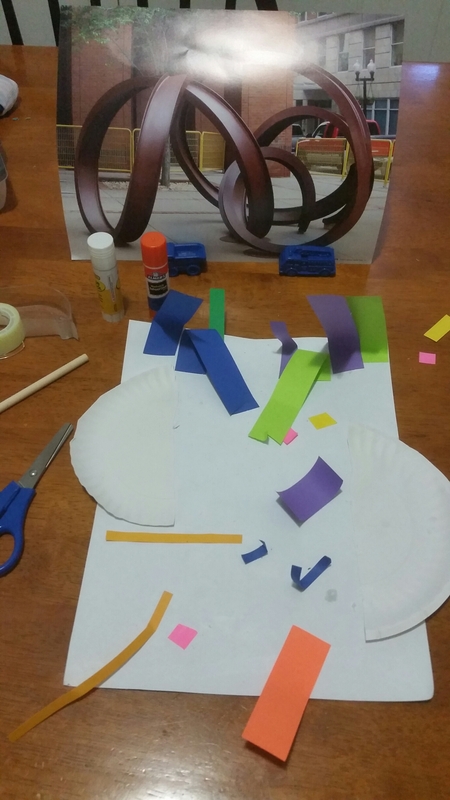 This fun activity was expanded even further by adding a math game element. X would roll a number one the cube dice and fish out that number island. We even were able to do a little adding! 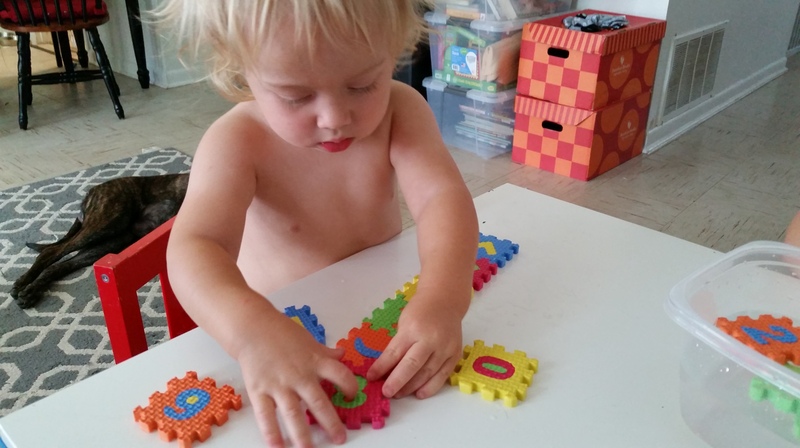 Q has been loving puzzles lately, so he really enjoyed connecting the letters and numbers. X spent quite some time experimenting with what his boat could hold and what would make it sink. 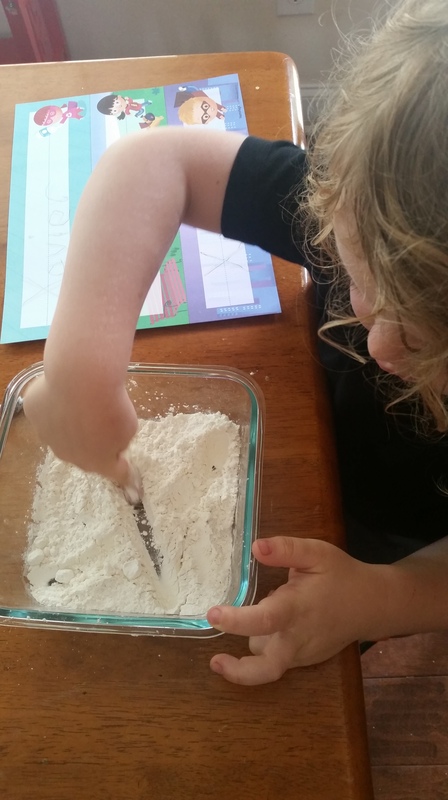 I loved the ease of creating a tinfoil boat as suggested by our Science Experiment card. 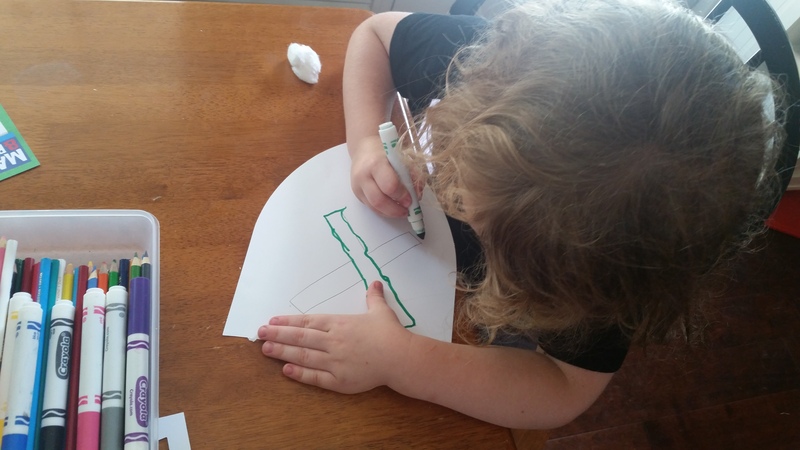 Design and physics concepts at work in preschool learning! He also explored balancing items in the boat which could result in making it flip. I use any opportunity I can to bring our school into our play, especially outside, and our Day 2: Boat unit did this perfectly! We’re winding down our Community Helper month with Mother Goose Time. X has really enjoyed it. Even with extra activities and events going on surrounding the holidays he reminds me daily that he wants to “do school”. Today our theme was Actor. He thought that idea was pretty cool, especially since one of his favorite pass times is pretending to be a fireman or chef or mailman. 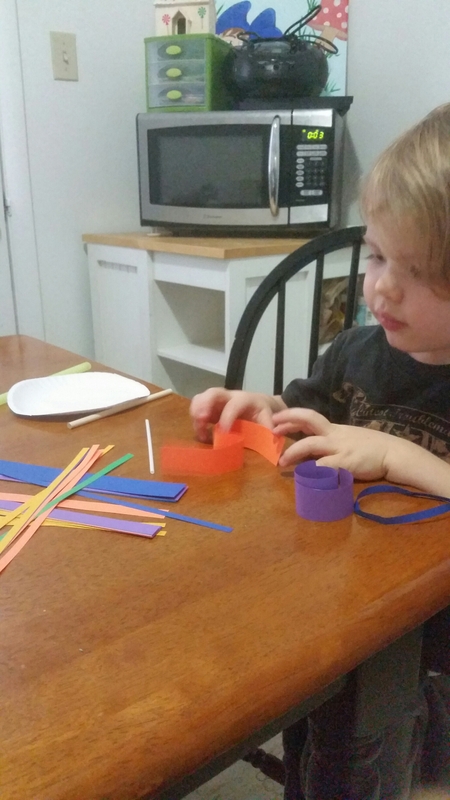 He worked on building his mask while I got the other activities ready. 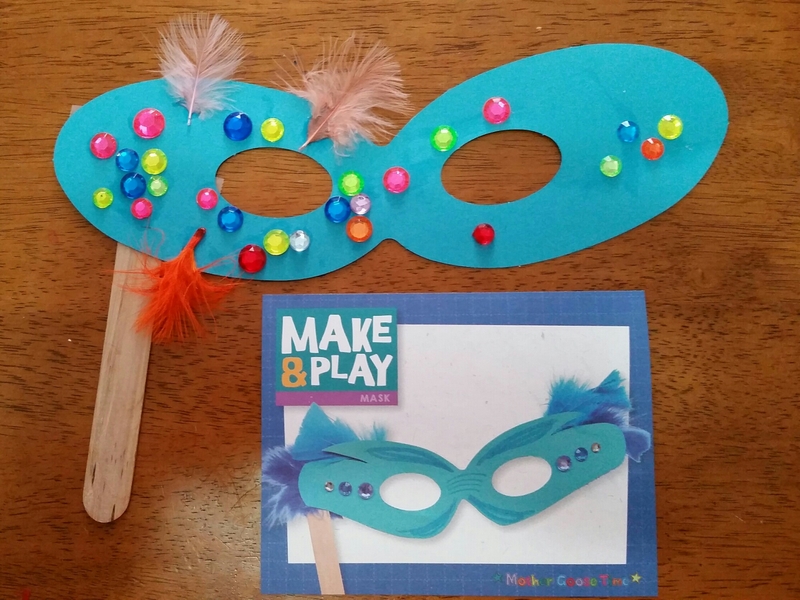 It was great fine motor work picking up and glueing all those little jewels! Next up was matching hats and pants to the appropriate outfit. But this MGT we’re talking about here, so it wasn’t JUST matching the hats and pants, it was also matching lowercase and uppercase letters. 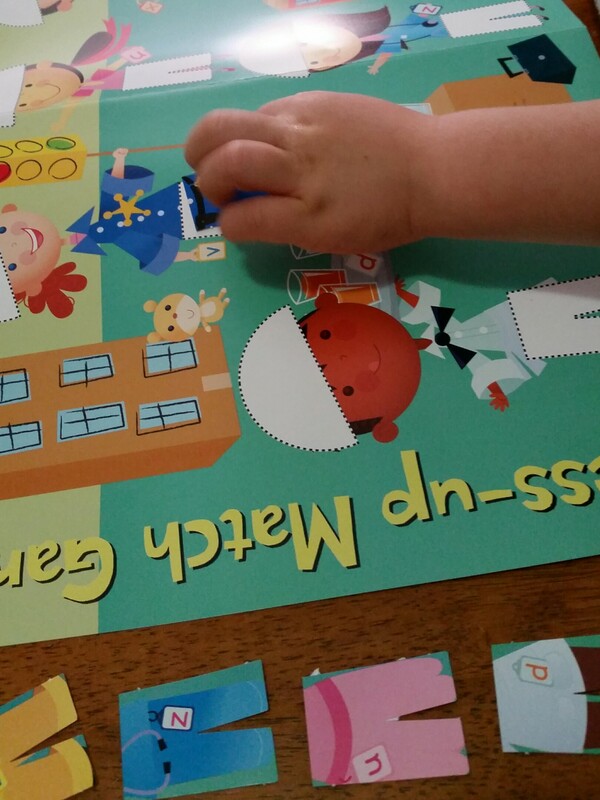 This was a perfect activity for X. He’s still working on his letters and understanding upper and lowercase. so if he was unsure of the pair, he could see if the dress-up outfit made sense. GENIUS. I love self correcting projects. They build independence. Plus, figurino out you made a mistake on your own is much less upsetting then having someone else tell you. Finally we worked on some gross motor, coordination and critical thinking. We had SO MUCH fun with this charades game. First X looked at the picture to figure out what job they were doing. Then we acted out a motion that related to each job. If you have a bunch of kids you could do a standard style charades, but since it was just X and me, I did it a little differently. We had a ladder climbing race for the fire fighter followed by climbing fast and slow. X carried a tray holding it as high as he could and as low as could for the waitor. He used his fingers like scissors to cut my hair for the hairdresser… You see where I’m going with all of this. He giggled and loved all the challenges and it gave us an opportunity to review some opposites as well as working on coordination! As always, we had a blast and learned a lot! This morning was a bit of a struggle around here. my kiddos were ANTSY! 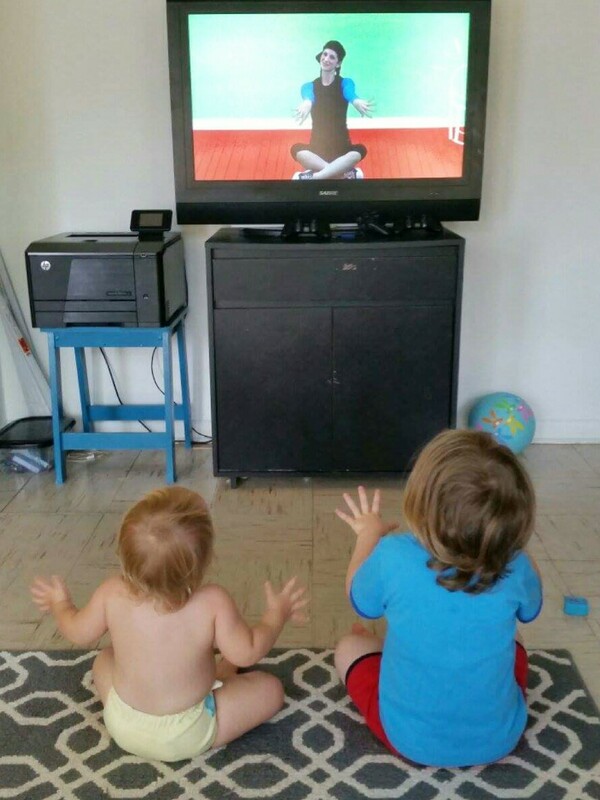 I’d planned on us staying home today since we had a busy week, so I needed to think of something to help these guys get their wiggles out! 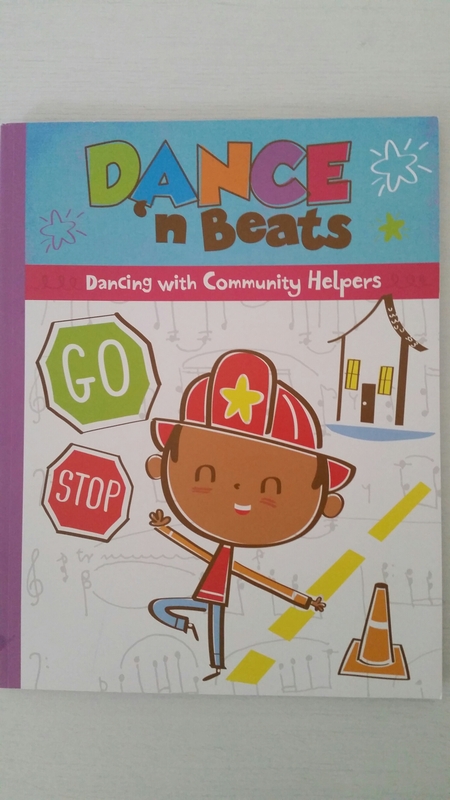 Luckily I knew our Dance ‘N Beats from Mother Goose Time would do just that. 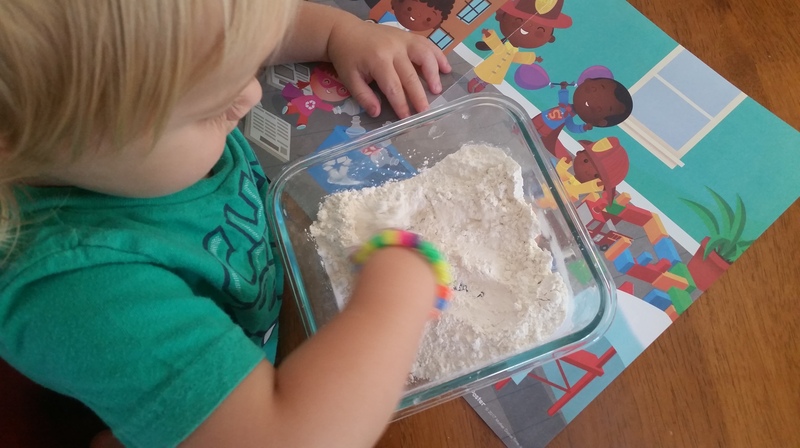 I had planned on doing some fun Post Office activities this morning as well, so we could do some fun gross motor work and use it as introduction for the rest of our activities! Once we got warmed up, we moved on to dancing like a mailman! They both really got grooving! Q loved the stamping motion and clapped along with the rhythm. 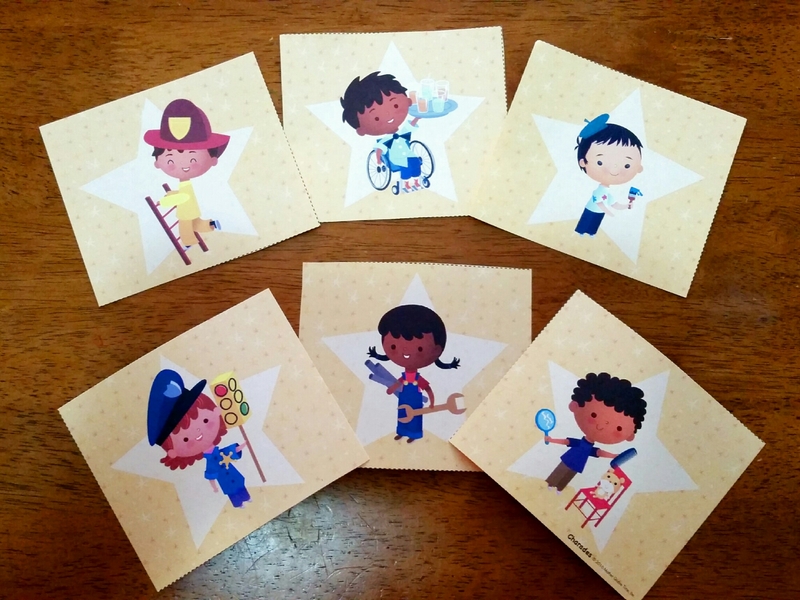 Once all the wiggles and giggles had been danced out, we were ready to focus on some Mailman fun! 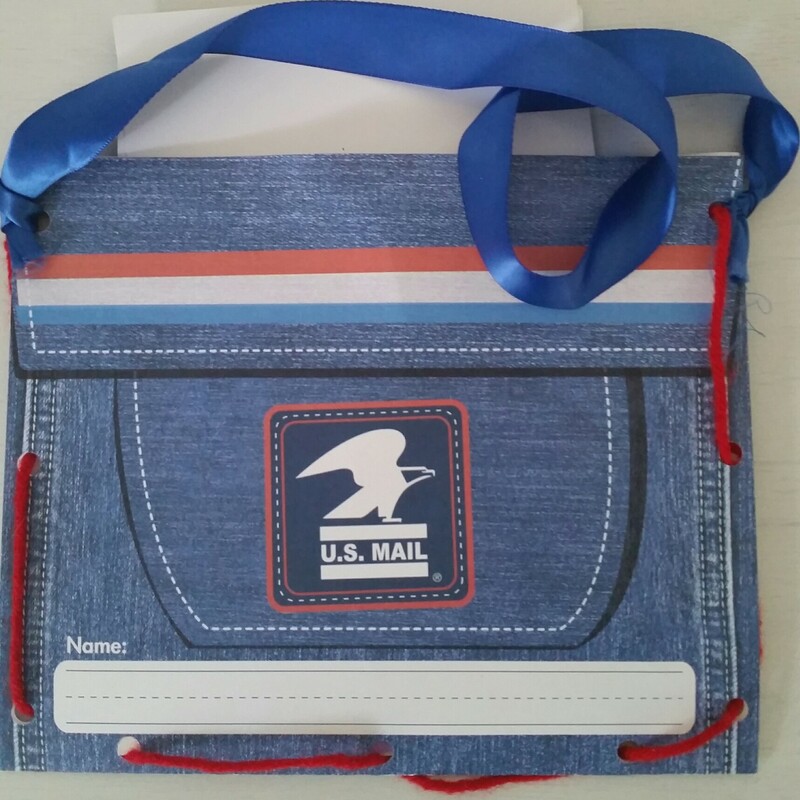 The post office theme is a popular one around here, so we had a wooden mailbox and a Mailman vest to use in addition to the provided materials from MGT. X loved “sewing” his own mail bag and I loved the great fine motor work it was for him to lace the yarn through all of the holes. Next up was delivering mail! 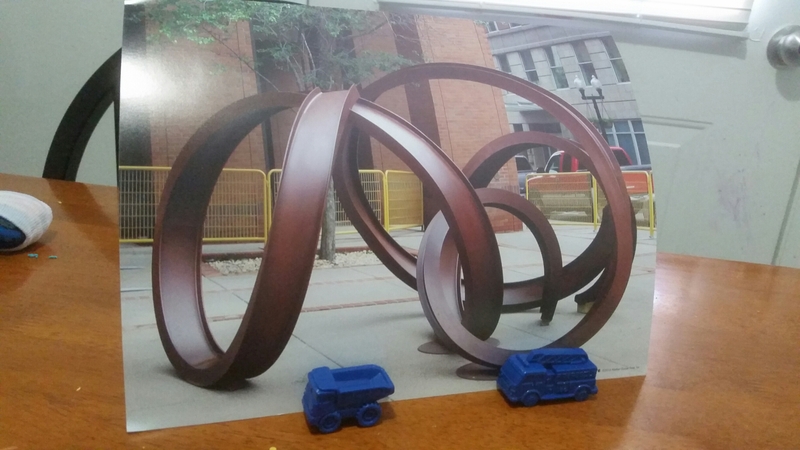 we were provided with images of 4 different community locations that would get mail. a firehouse, school, cafe and hospital. Each of the provided postcards had an image on the front that corresponded with one of the locations. These varied in difficulty from the picture on the postcard being exactly like an item in the location picture to having some assumed knowledge about the location. For example, the orange cat on the postcard was the same orange cat that was sitting on the roof of the school. This provided an eye spy element to the activity and really focused on observation. Additionally, one postcard had a teacher reading a story. There was no teacher pictured at the school, but X could use his reasoning skills to figure out what location the reading teacher corresponded with. I LOVE this activity. He was really thinking, reasoning and observing! He focused really hard to make sure he was choosing the best location for each postcard. Add in the gross motor aspect of walking from location to location, and this was such a winner! 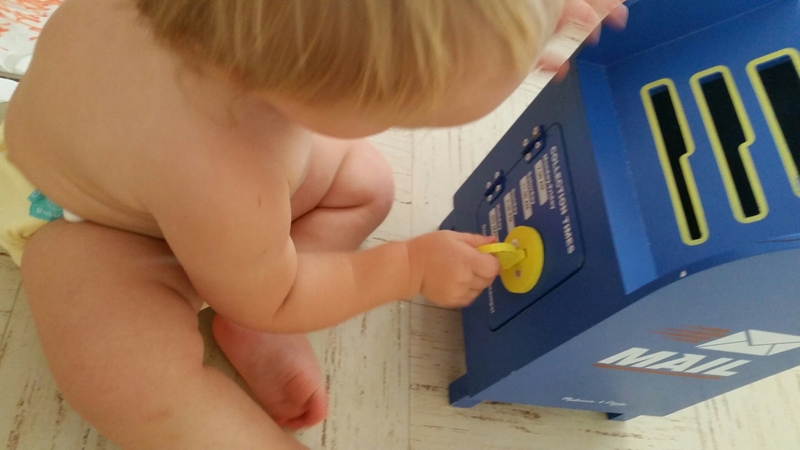 Even Q got to work on some fine motor development using the mailbox while his big brother was delivering the mail! 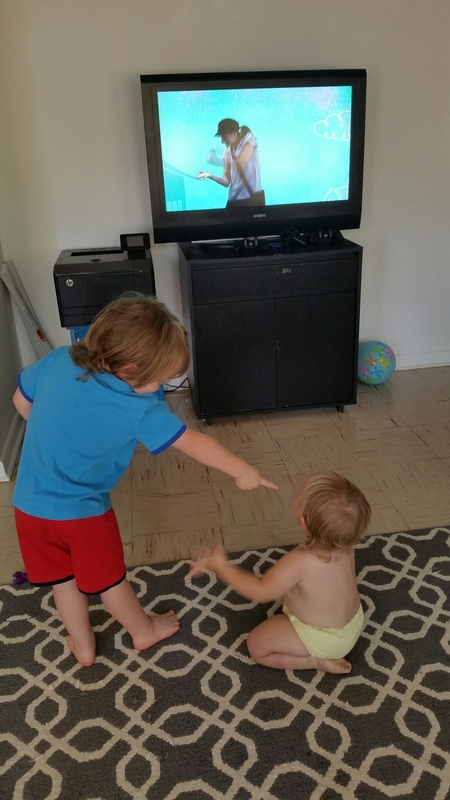 What do you do when your kids are really antsy? 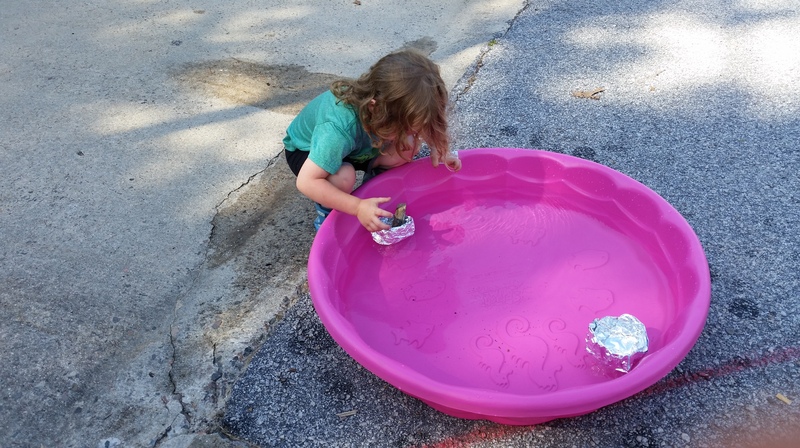 Do you have some tried and true activities for when going outside to play isn’t an option? I feel like we’ve been perpetually busy for the last 2 months, and with more holidays coming up, I don’t see that changing anytime soon. We work learning into every day life, but I also try to be intentional with our learning. 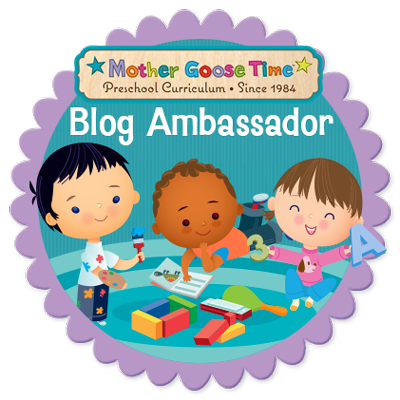 Thankfully we have Mother Goose Time to help make fitting intentional learning into our busy schedule a LOT easier. The other day we had a little bit of time between nap and dinner and I knew it was a perfect chance to squeeze in some MGT. But I also knew that I needed activities that could be mostly independent because Q was awake and I was working on dinner prep. 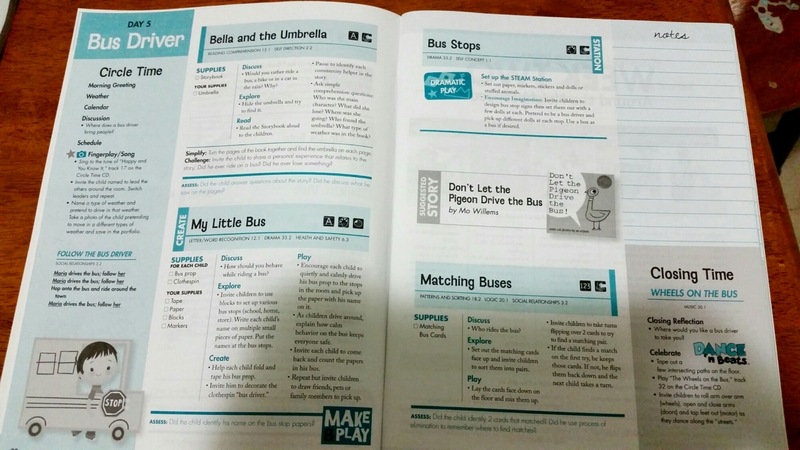 I grabbed my Teacher’s Guide and flipped through. 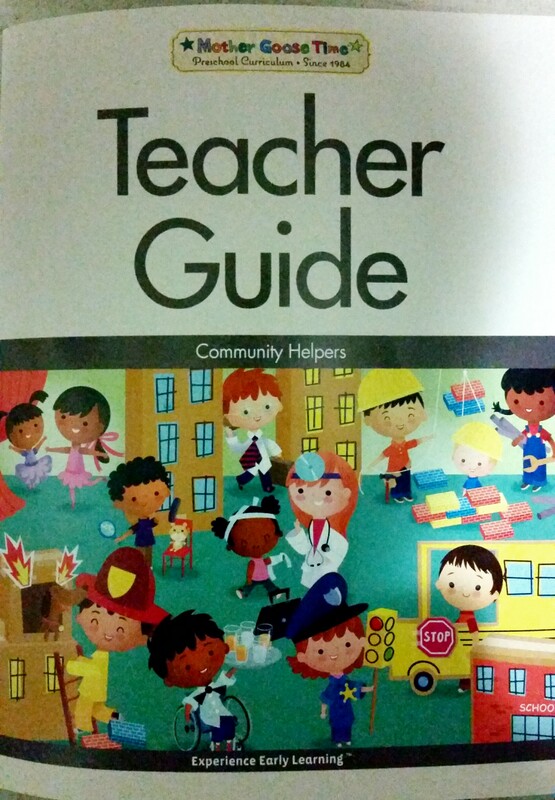 The Teacher’s Guide makes it really easy to judge which activities involve my full attention. I normally love being really involved while we do school, but that wasn’t going to work for the time we had. I also can check with a quick glance to see if I need to provide any materials for the projects. I hadn’t planned this school time ahead, so I needed a day where all of the materials were included. Day 5: Bus Driver had everything I needed. X and I read this month’s included story book together. 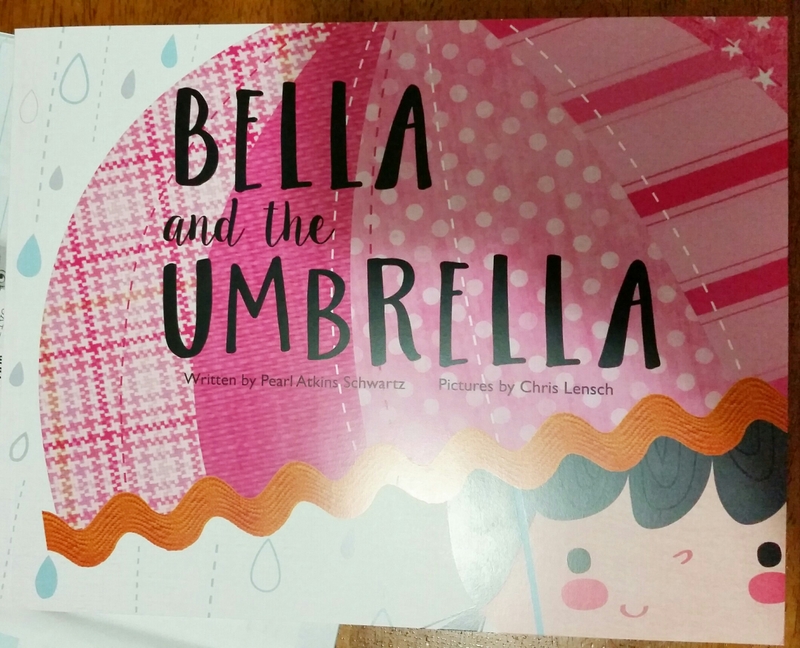 Bella and the Umbrella was a cute story about responsibility, mistakes and being honest. This gave us a good chance to connect. We read it together and talked about the story. 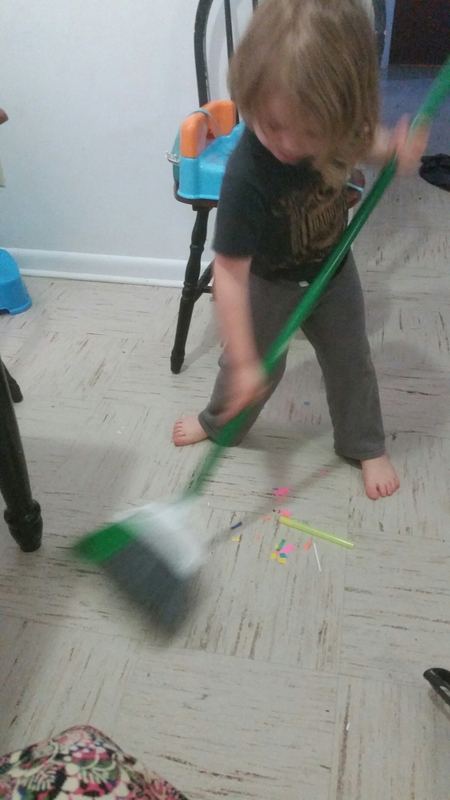 Once we did an activity together, I knew he’d be willing to work on his own. 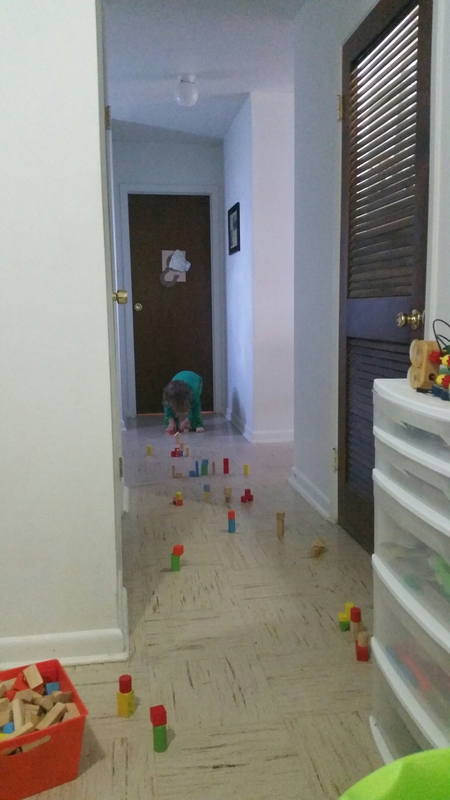 I also know that he loves building with blocks and he loves any excuse to use tape- My Little Bus was going to be a big hit and would keep him working on his own for quite some time. Boy was I right! He loved constructing the bus himself. He loved building all of the bus stops. He even added his own gross motor activity by jumping over his bus stops on the way back to get more blocks! 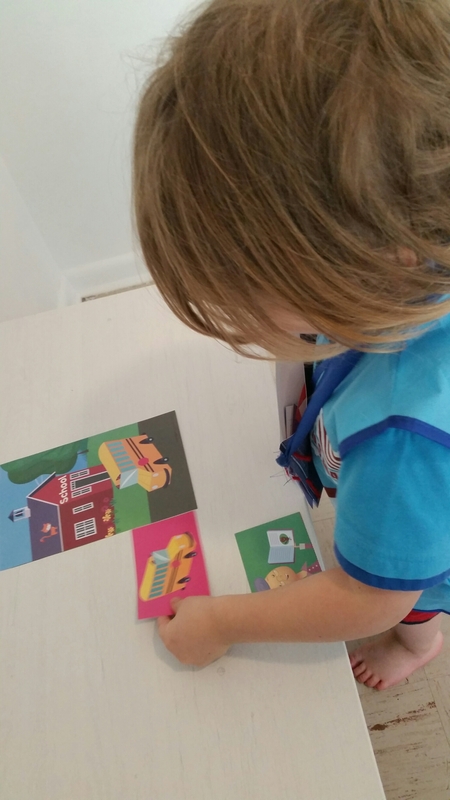 Finally Matching Buses was a great game he could work on himself while I got dinner ready and added in a little dose of mathematical concepts to round out his learning for the day. This is a great example of 3 of the reasons I love Mother Goose Time. Flexibility- I didn’t have to do the first day of the month. I was able to choose a day that worked best for us. Variety- There are so many different activities and differing rhythms for the days. It really is easy to find a day that fits whatever you have time for. Some we spend hours working on. Other days can be done as quickly as 45 minutes to complete all 4 activities. All of them are fun and educational! Convienent- This day took no planning and no prep. I was able to quickly flip through the Teacher Guide to find what we needed and pull out the corresponding bag for that day. 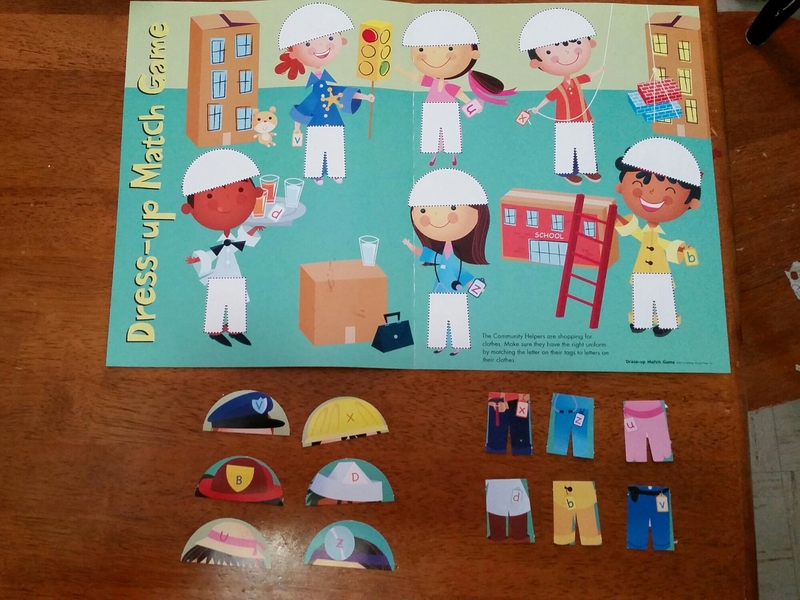 it took me a few moments to cut apart the cards for the matching game, but that was it. so quick! This chunk of time could have been spent with X getting into things or being under my feet. I could have been frustrated and stressed out. Instead X had a blast, learned a lot and wasn’t under my feet while I was trying to cook! It was definitely a win for both of us! 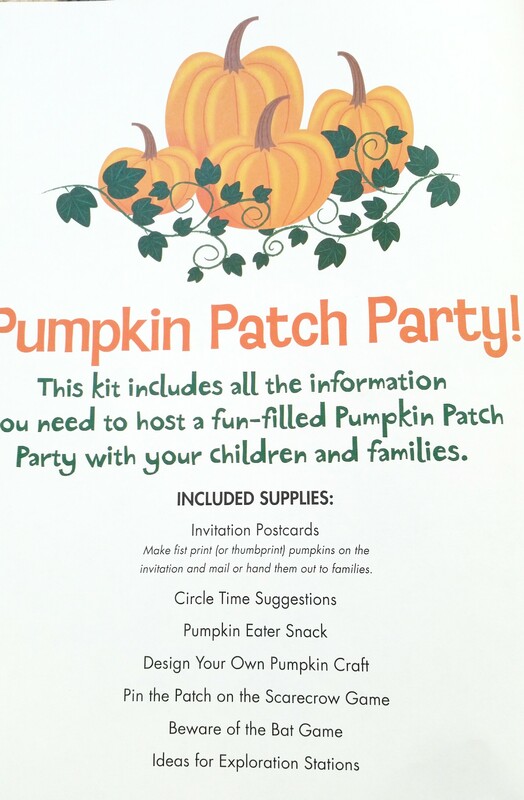 Every month Mother Goose Time includes a Party Pack. This is all of the ideas and supplies you need to throw a fun, seasonal party! For preschools and daycares this is a great opportunity to connect with families each month. 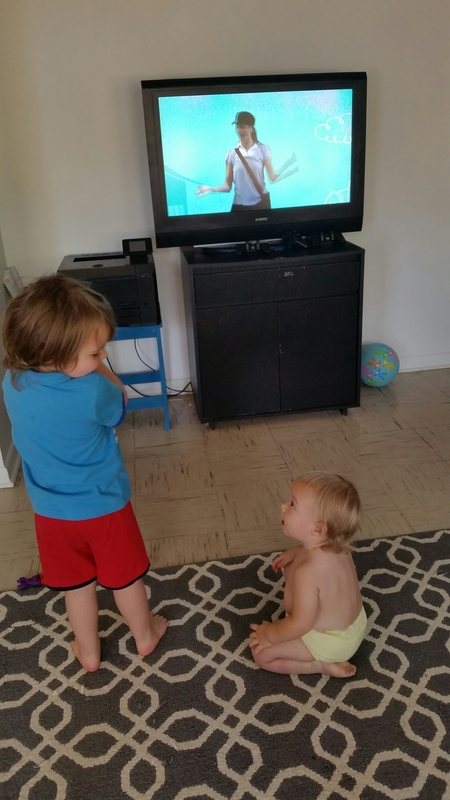 If you’re a homeschool family (like us!) 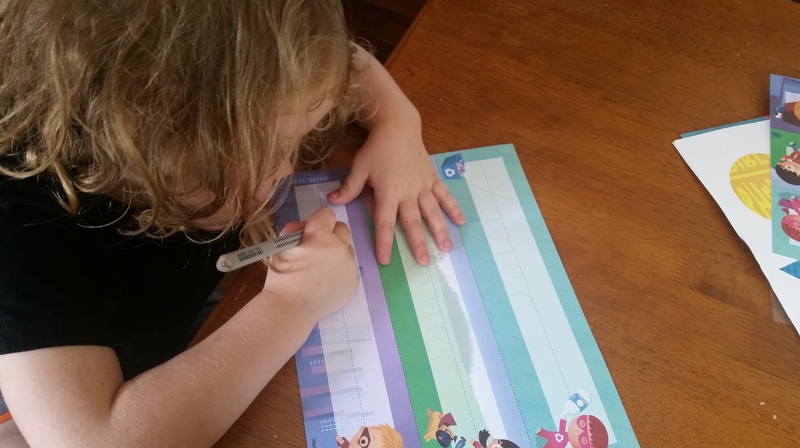 these packs are an amazing tool to make hosting a monthly play date super easy and successful. 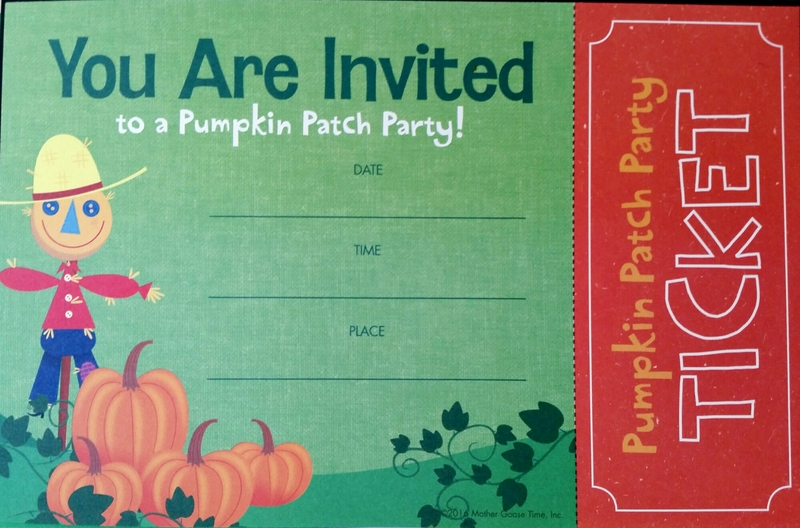 This month the theme is Pumpkin Patch! Ideas and supplies for games, songs, arts and crafts, sensory play and even a snack are included. And of course the kids will be learning while they’re having so much fun! 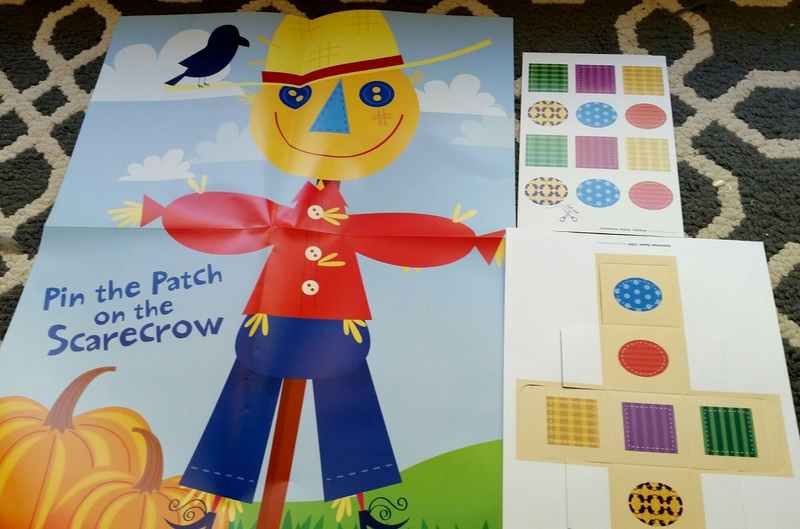 Pattern matching, reasoning, taking turns, spatial awareness, fine and gross motor, number recognition and counting are all a part of the fun. Directions, supplies and even discussion topics are all included. 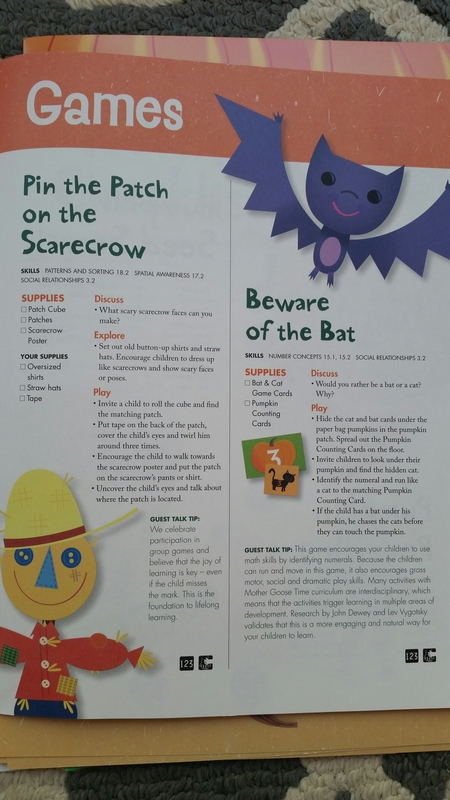 What fun, seasonal activities does your family do?